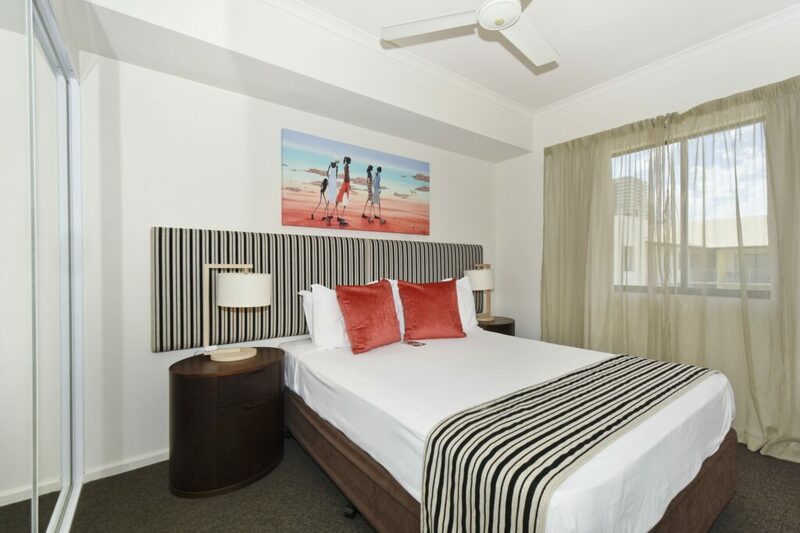 Our one bedroom apartment is an ideal alternative to a traditional hotel room, with a spacious living room and separate bedroom, fully equipped kitchen and private laundry facilities. 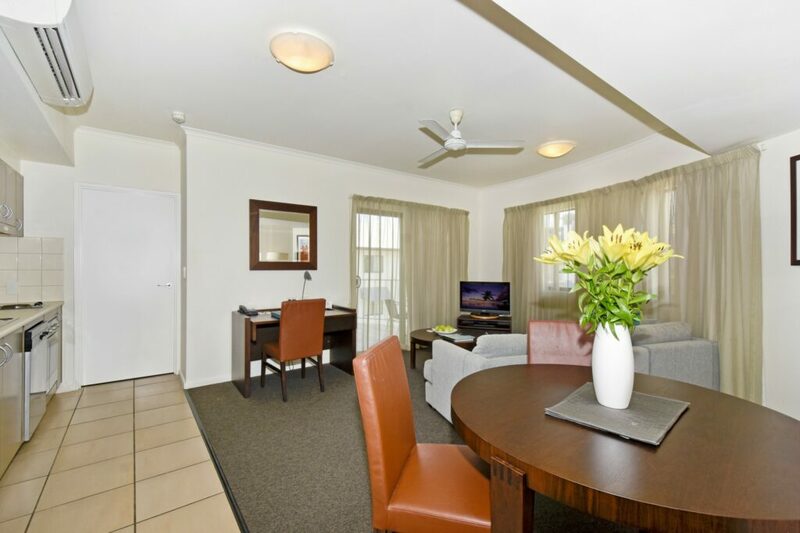 With all the comforts of home this apartment is also suited for long stays or business travellers wanting room to spread out and conduct work from the quiet of their room. 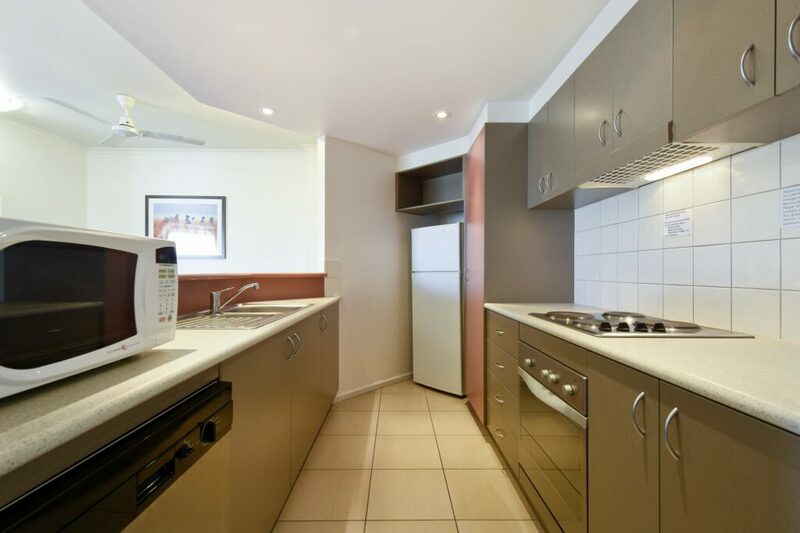 The split system air-conditioning allows you to set the temperature to your individual needs. 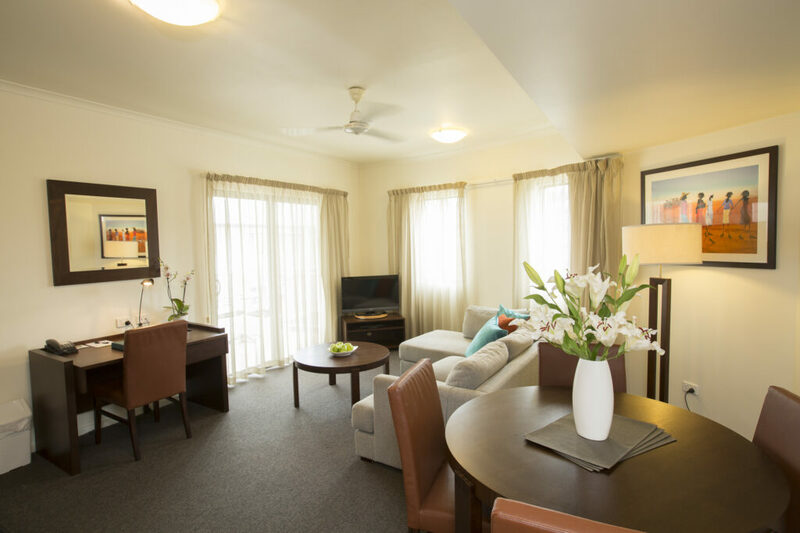 All apartments feature direct-dial phones, internet access, and television with DVD player, Foxtel and free Wifi. With one queen bed and optional rollaway bed. This room is suitable for up to 3 guests.